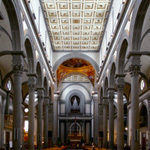 The Basilica di San Lorenzo (Basilica of St Lawrence) is one of the largest churches of Florence, situated at the centre of the city's main market district, and the burial place of all the principal members of the Medici family from Cosimo il Vecchio to Cosimo III. 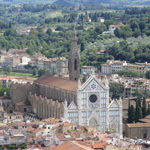 It is one of several churches that claim to be the oldest in Florence. 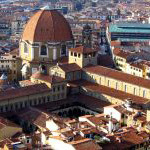 Filippo Brunelleschi, the leading Renaissance architect of the first half of the fifteenth century, was commissioned to design it, but the building, with alterations, was not completed until after his death. 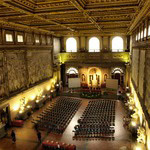 The church is part of a larger monastic complex that contains other important architectural works: the Old Sacristy by Brunelleschi; the Laurentian Library by Michelangelo; the New Sacristy based on Michelangelo's designs and the Medici by Bernardo Buontalenti. 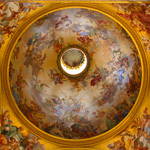 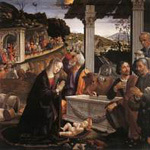 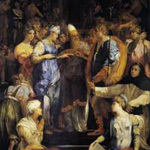 The Basilica hosts works of art, among others, by Antonio del Pollaiuolo, Bronzino and Donatello.